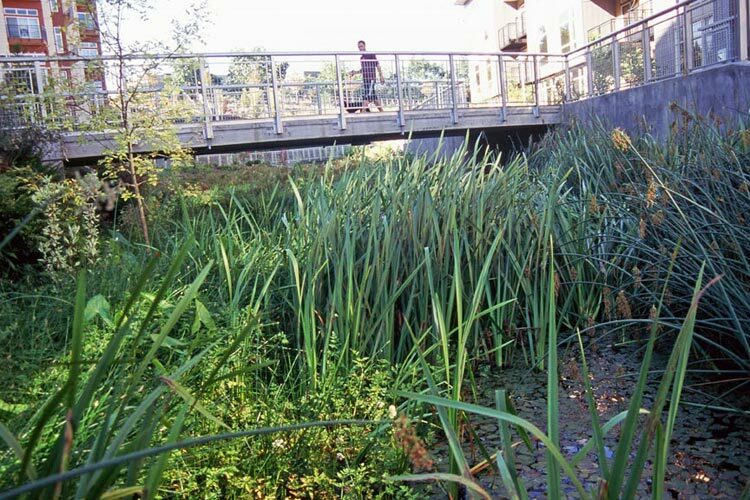 Stormwater treatment and daylighted creek are creatively combined in this stunningly beautiful 2.7 acre pedestrian-oriented urban open space. 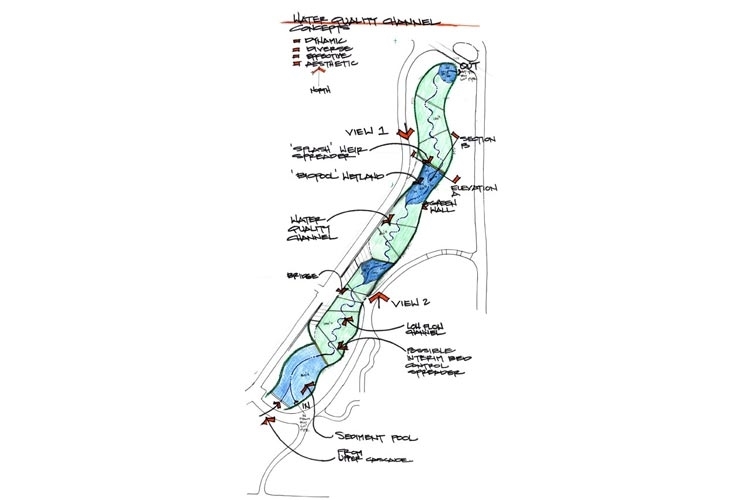 A complex public-private partnership, the project also engages a major transit hub, provides accessible pedestrian connections and public art, and includes mixed-use and residential developments along the channel. 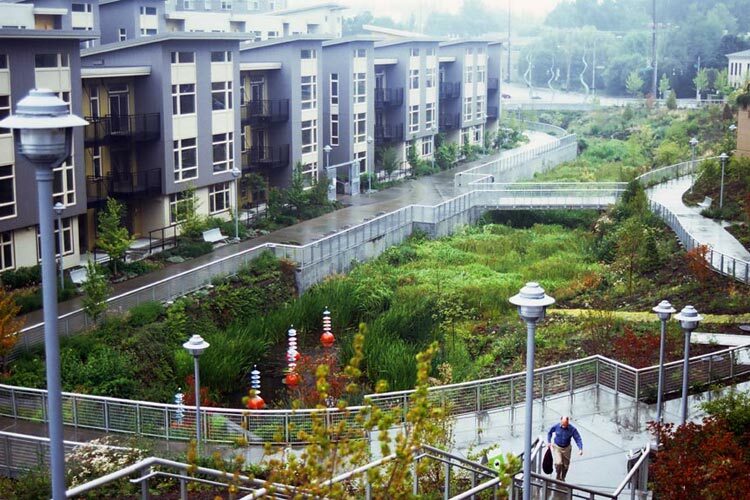 Involved with the site and stakeholders since a 1998 creek daylighting feasibility study, GAYNOR’s “out-of-the-box” design concepts broke legal and political logjams and brokered support from community activists, private developers and the city of Seattle. Thornton Creek Water Quality Channel receives a 2010 Honor Award for Design from Washington Chapter, American Society of Landscape Architects; and a 2009 Outstanding Award from the American Society of Civil Engineers.